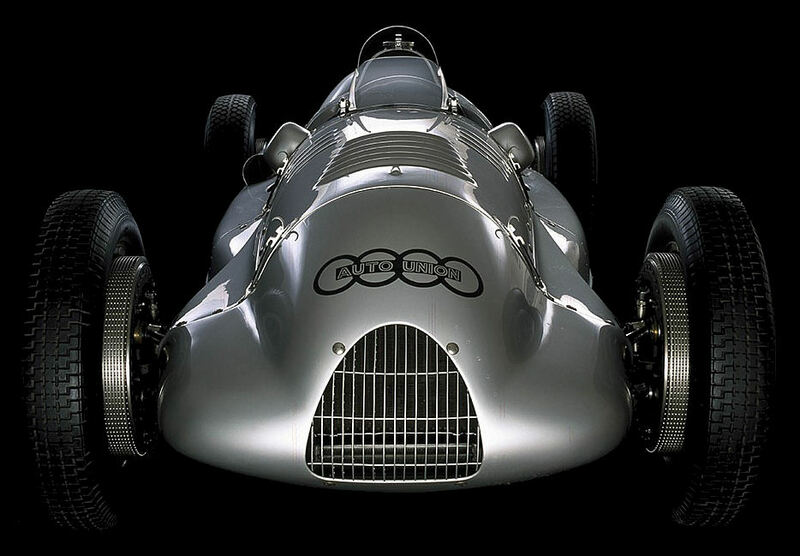 In 1937 Bernd Rosemeyer, driving a Auto-Union type C, set a new record of 406 km/h and Tazio Nuvolari won on the Milanese circuit driving Alfa Romeo 12-C-36 . That same year the first driver’s watch was created, a revolutionary model dedicated to the racing drivers of that time. Featuring a curved dial that allowed the face of the watch to be worn on the inside of the wrist, this configuration allowed you to glance down and check the time with no need to remove one or both hands from the wheel. In the 1940s and the 1950s the most demanding racing drivers chose the “driver’s watch” models featuring a vertical re-oriented dial or noon shifted to the three o’clock position, while in the 1970s there followed watches featuring a digital display showing hours and minutes. Meccaniche Veloci channeled those early drivers and designers energy to create the Chrono Driver Evo. It is a model halfway between a recollection of a roaring past and a reinterpretation of the time concept: not linear, but definitely skewed to the advanced. The Chrono Driver Evo most obvious feature is a balancing case protected by a curved profile frame called a brancard. This limited Edition represents the natural and exclusive evolution of a driver’s watch as created by many watchmaking designers of the last century. They share indeed a dynamic style and a pursuit for exclusivity. 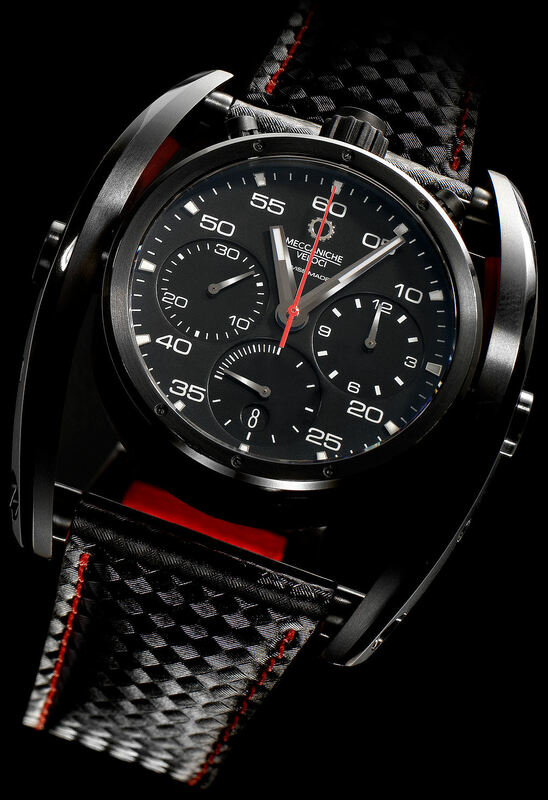 With the choice of models of constructed of either Titanium or Carbon Fiber, the Chrono Driver Evo by Meccaniche Veloci is the epitome of design, mechanics and precision inspired by the past while conjuring the future. The perfectly polished and satin-finish surfaces of the case and brancard exalt the elegance and cleanliness of the shapes; the dial is protected by convex sapphire glass. The push buttons in the upper part of the case activate the start, stop and zeroing functions of the chronograph. When the two side pins of the brancard are moved, the case slopes a little, becoming an innovative and iconic instrument for measuring time.